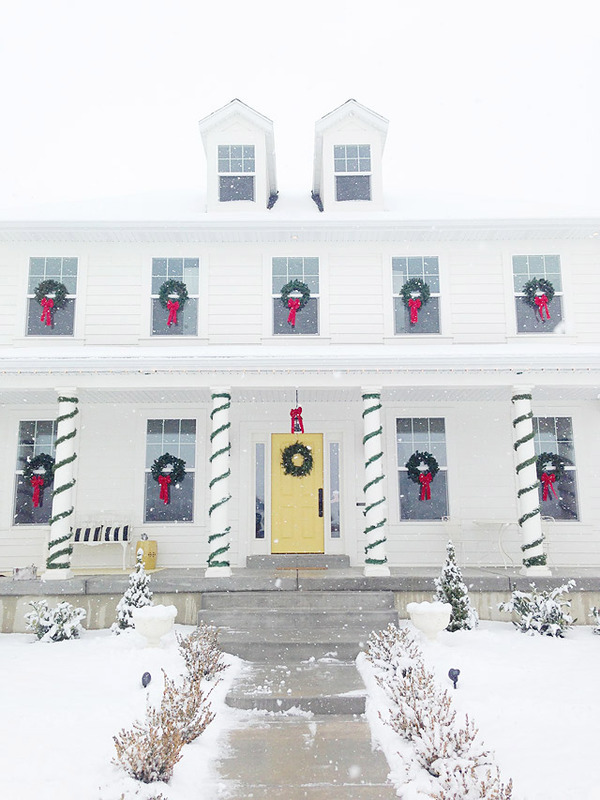 I always knew that our home would look amazing with Christmas wreaths in the windows. But, last year being my first year to hang them, I was left scratching my head wondering exactly how I was going to securely hang them. 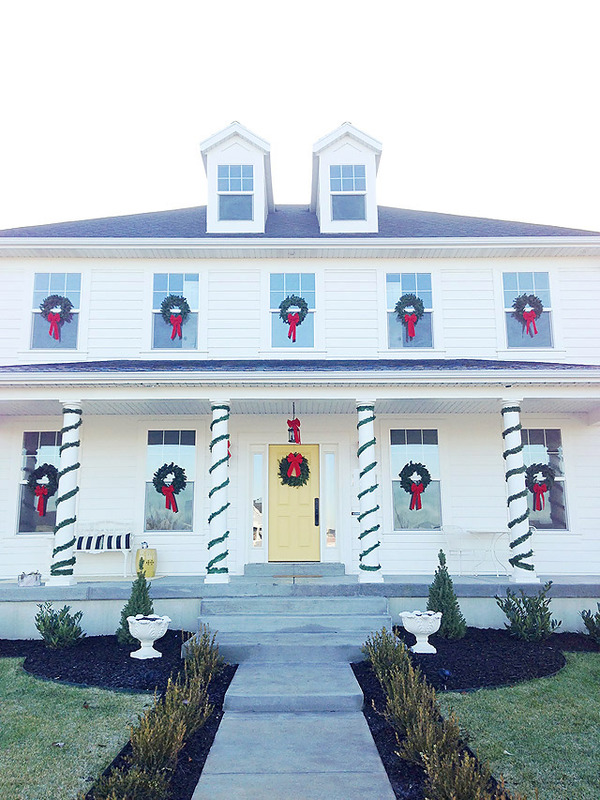 After asking around, and googling “How to Hang Wreaths on Outdoor Windows.” I found some ideas, but none of them seemed like simple ideas that actually worked. 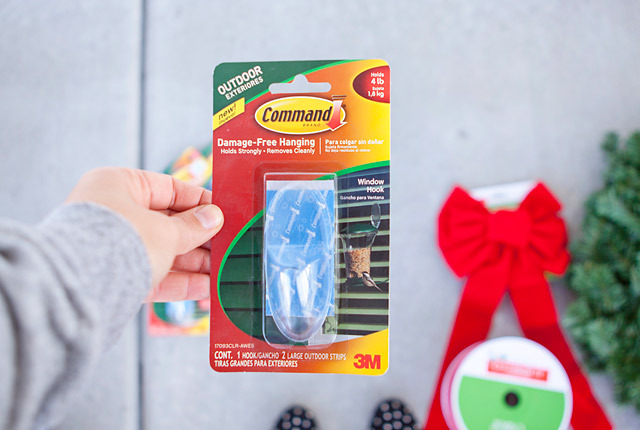 When I was wondering around the Home Depot, I found these Command Brand Strips that are made especially for the outdoors, and especially for windows. Finally, an easy solution that isn’t permanent and really worked! If you follow my step by step, the hooks will stay on no problem! Faux Pine 18 inch Holiday Wreaths from Michaels Craft you can also find them online here. Clean your windows well. 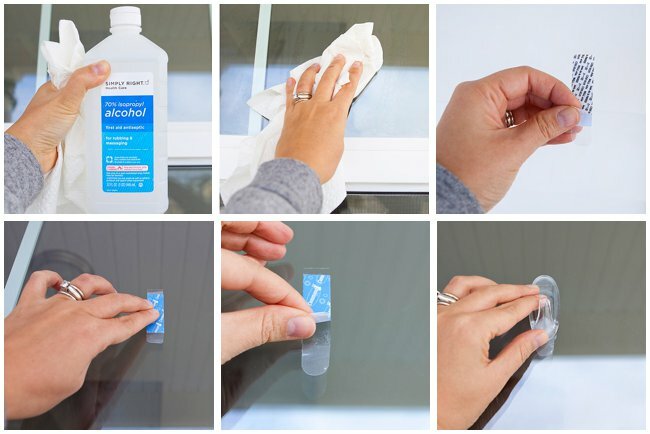 Take the Rubbing alcohol and put some on a cloth or paper towel. Rub around the entire area where you will hang your hook. You will want to do this when the temperatures are not freezing! Read the package instructions throughly. Remove the blue liner. Press the hook to the wall stripe and hold firmly for 30 seconds. Wait at least one hour before hanging anything on the hook. This is a very important step. 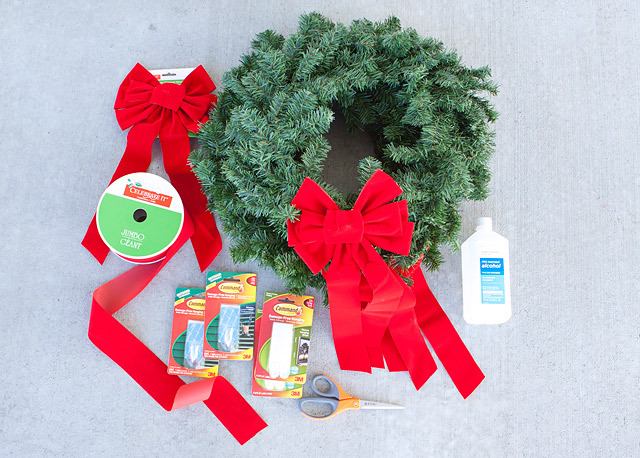 The adhesive needs time to bond or it will not hold the weight of the wreaths. I try to wait at least 24 hours to ensure the hooks are on well before hanging anything heavy on them. Hang the wreaths on the hooks. You can also us some string to tie them more securely to the hook if you experience a lot of wind in your area. When you would like to remove the hook, stretch the strip slowly against the window at least 12 inches to release it. Always pull straight down not towards you or it will break! Pretty simple, and it doesn’t damage your windows. They hold up very nicely in the wind as well. With the kind of wreaths I had they have wire as the base and were able to hook on nicely. They stayed put really well. I think one may have fallen off in some really high winds, but that was it! My hooks always stay on because I have carefully prepared my windows, and made sure to buy the hooks that are specially made for the outdoors! 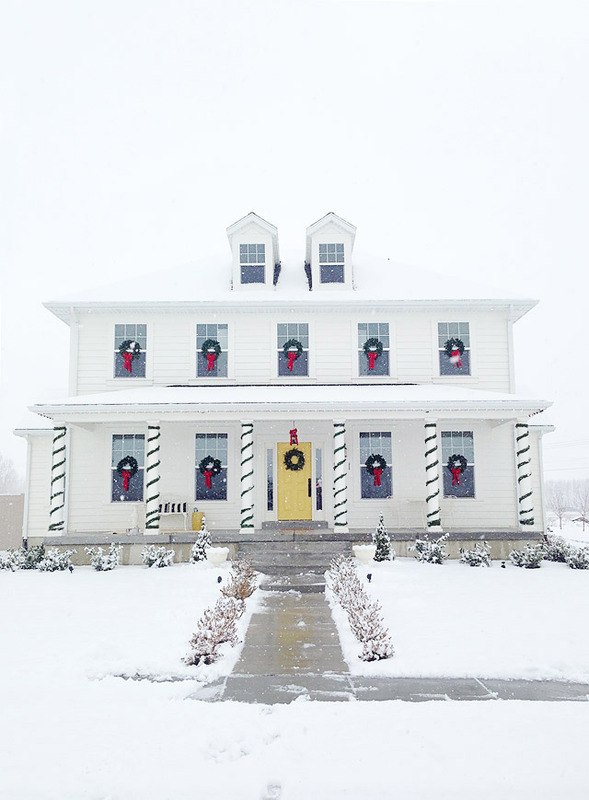 The command strips are very easy to remove and made it really easy to make my home festive for the holidays. 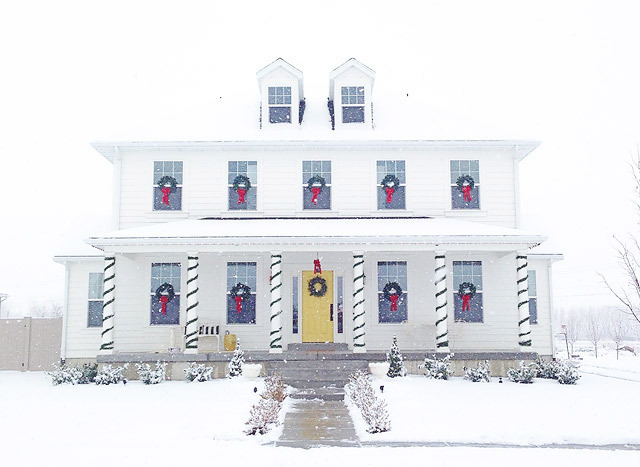 I loved how it looked on Christmas morning in the snow! 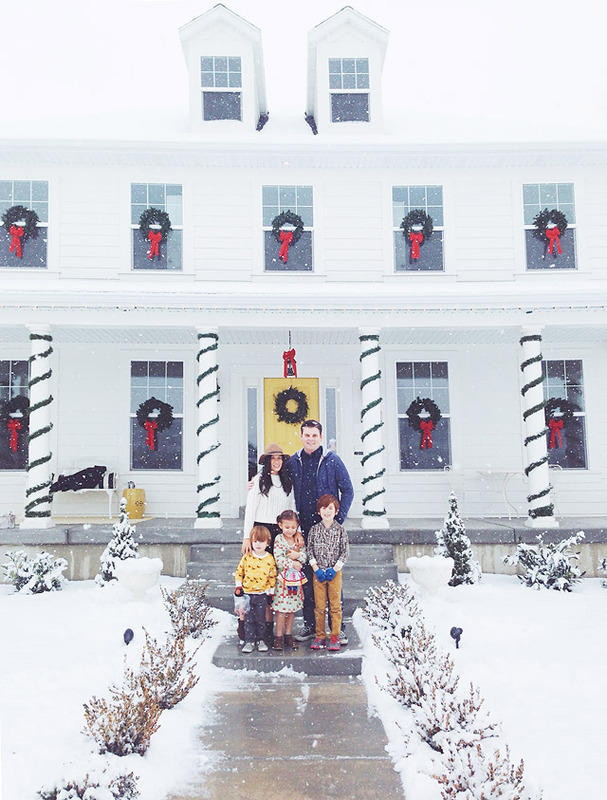 My family during our magical snow storm on Christmas morning 2014! 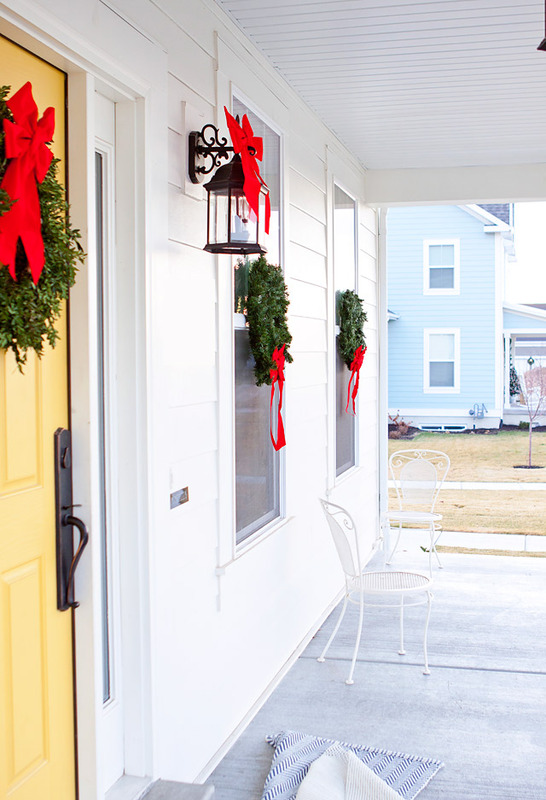 I hope this helps if you are looking to hang holiday wreaths on your windows this year! Can you believe Christmas is just around the corner?! Did you attach the Command strips on a cold day? It seems like that would make them not stick very well and I live where it's already cold with no signs of warming 'til Spring. Try warming the window up with a hairdryer first. It was a pretty mild day for december when I installed mine. Thanks for sharing, such great tips. 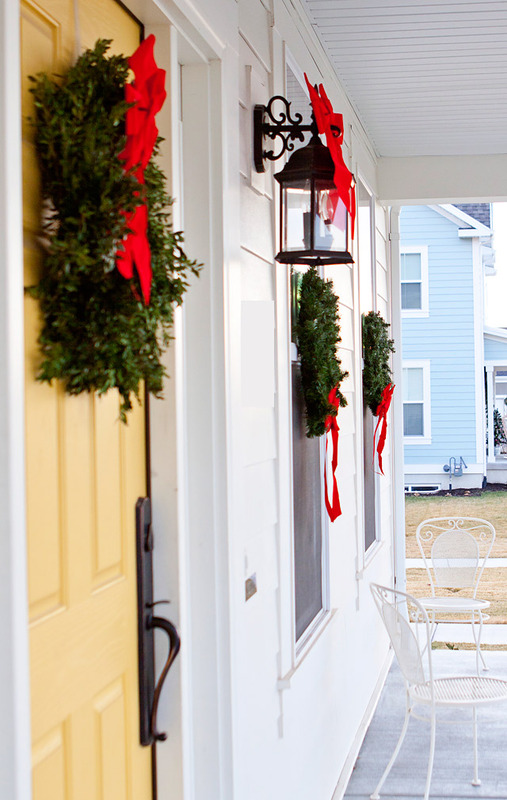 Your home looks beautiful and so do the wreaths. Can't wait to to hang mine up tomorrow morning. How well do they hold on strong windy days? That is usually my concern. 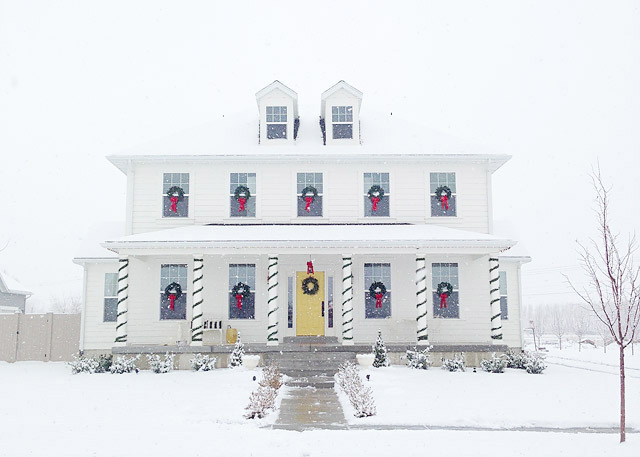 I was thinking of doing this and then securing the wreath to the top and bottom of the windows with fishing line. I want them to stay in place and we get a lot of winds in the front of our house.